With the Bluetooth Class 2 compliance, 8260 provides instant access to a range of handy local Bluetooth devices, like PCs, mobile phones, and printers. You can link to any Bluetooth printer to print labels and forms from a distance of up to 50 meters, so you can document activities as they happen. 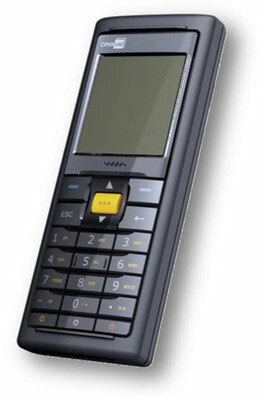 Bluetooth, Laser, 8MB, 24 Keys, KIT, US/EU/UK/AU. Interface Cables And Charging Cradle Sold Separately. Bluetooth, Laser, 4MB, 24 Keys, KIT, US/EU/UK/AU. Interface Cables And Charging Cradle Sold Separately. Bluetooth, Linear Imager, 8MB, 24 Keys, KIT, US/EU/UK/AU. Interface Cables And Charging Cradle Sold Separately. Bluetooth, Linear Imager, 4MB, 24 Keys, KIT, US/EU/UK/AU. Interface Cables And Charging Cradle Sold Separately. Bluetooth, 2D, 8MB, 24 Keys, KIT, US/EU/UK/AU. Interface Cables And Charging Cradle Sold Separately. Pistol Grip, Compatible with Cipherlab 8200 Mobile Computer.